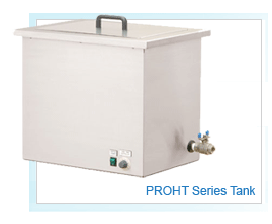 The PROHT Series also known as the “Benchtop Series” is an entry-level benchtop ultras onic cleaning system made of all stainless steel construction. 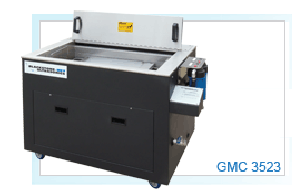 Available in various sizes and intended to sit easily on a workbench or as a drop-in, these parts washers offer the same cleaning capabilities as the more elaborate models but at a lower price. They are ideal for cleaning small parts on an intermittent to semi-production basis but are not recommended for high volume cleaning. 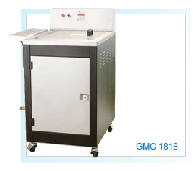 Available for use with single or multi frequency generators. Two very powerful machines both with 2Kw of Ultrasonic power. Contact Ransohoff for details 01274 668267.